Okada nailed another Gold medal-Olympic quota combination for Japan, bringing its total to four and three respectively. Kazakhstan’s Yuriy Yurkov placed 2nd, while Iran’s Pourya Norouziyan pocketed the Bronze and the second quota place up for grabs. 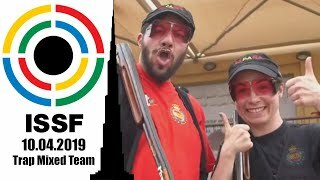 Another incredibile performance brought Japan its fourth Gold medal and its third Olympic quota of the Asia Olympic Qualifying Competition for Shooting in New Delhi (IND). This time it was 10m Air Rifle Men shooter Naoya Okada, who finished in 1st place after nailing an incredible series of shots in the final segment of the match. 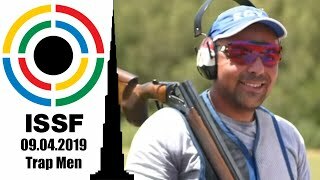 Okada, indeed, battled with Kazakh shooter Yuriy Yurkov for most of the final round, eventually taking the lead after the sixth series and building a comfortable lead that allowed him to claim the Gold with 208.1 points. Silver medallist Yurkov, who recorded a final score of 206.3 points, was also the only participant not eligible for an Olympic quota, as he already collected one in another event during last year’s World Cup. The two slots for Rio 2016, then, went to Okada and to the Bronze medallist, Pourya Norouziyan of the Islamic Republic of Iran, who finished with 184.2 points. Hometown favorite, India’s Akhil Sheoran, placed 4th with 163.0 points, missing the podium and the quota just by one position. 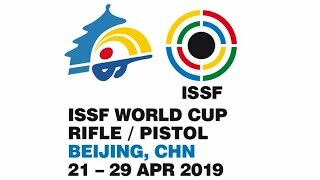 Thailand’s Pongsaton Panyatong placed 5th with 140.5 points, followed by Uzbekistan’s Vadim Skorovarov with 120.0 and Republic of Korea’s Kim Dae Seon with 98.5. 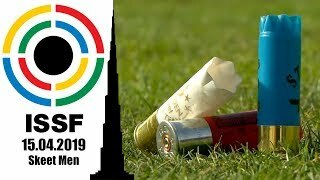 Despite hitting a phenomenal 10.9 on his very last shot, Qatar’s Ali Al Muhanadi couldn’t avoid the first elimination and finished 8th with 78.5 points. 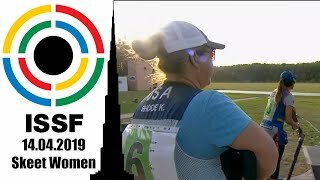 The competition will continue this afternoon with the Double Trap Men final scheduled at 3:30 PM (UTC+5:30).